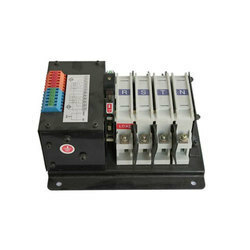 We are a leading Manufacturer of sgq 125a-4p transfer switch, sgq 250a-4p transfer switch, automatic changeover switch 63a to 400a, automatic transfer switch, sgq 160a-4p transfer switch and sgq 400a-4p transfer switch from New Delhi, India. We are offering SGQ 125A-4P Transfer Switch to our clients. We are offering SGQ 250A-4P Transfer Switch to our clients. 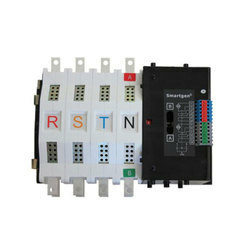 SmartGen has carved out a niche in the field of offering Automatic Transfer Switch. This switch contains three poles and four poles. This product is widely known for precise dimensions and durability. It is not only easy to use but can also provides efficient performance for a very long duration. Offered switch is competitively priced. We are offering SGQ 160A-4P Transfer Switch to our clients. We are offering SGQ 400A-4P Transfer Switch to our clients. 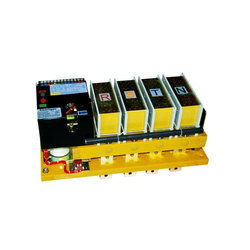 Our Company offers the best Automatic Transfer Switch in the market. 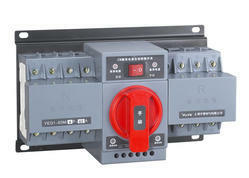 The ATS rated current series is 40A,63A, 80A, 125A, 160A, 250A, 400A, 630A, 800A, 1000A, 1250A, 1600A and 2000A. It is also divided in two types with three poles and four poles. Production is done as per prevailing standards to ensure that they are safe to use and durable. 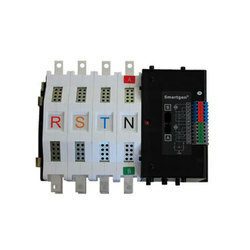 Our renowned company is involved in offering Automatic Transfer Switch in various standard and non-standard designs. 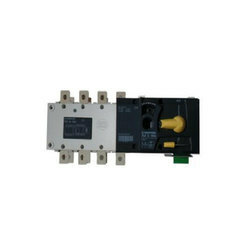 Here the operating voltage is no more than 660VAC and this switch may transfer the load. These are stringently tested on certain parameters by our talented quality controllers to ensure that the desired quality standards are maintained. Our company has carved out a leading position in the field of offering Automatic Transfer Switch Changeover Switch. This product is fabricated using high-quality raw materials. It works on operating voltage no more than 660 VAC and may transfer the load. The switch is reliable and easy to use. 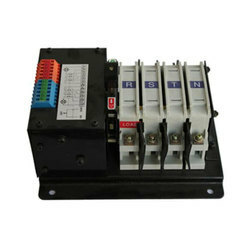 We are offering SGQ 63A-4P Transfer Switch to our clients. We are offering SGQ 100A-4P Transfer Switch to our clients. We are offering SGQ 630A 4P Transfer Switch to our clients. We are offering SGQ 800A-4P Transfer Switch to our clients.